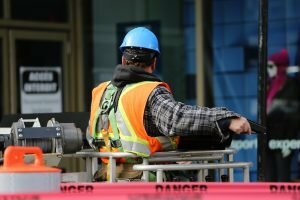 For effective operations of any business, worker’s safety should be considered. Workers are the engines of the business and under good health working conditions; their efficiency is bound to be high. Job hazard analysis enables the management of a company identify the dangers, which the workers get exposed to and learn of how to make the necessary adjustments. Job hazard analysis applies in every occupation, as there is no job without health risks. The welding job has many dangers associated with it as it involves the use of gas flames. Hazard analysis is made to avert certain tragedies associated with the hazards. The hazards affect the welders alongside other people for example in case of an explosion. Every given being has the right to live in a health environment ferr from any health hazards. This means that necessary procedures are taken to ensure an environment is safe fo everyone. In our project, our main aim is to ensure that the workers of the welding company acquire a clean environment. It describes the various hazards, their effects and possible solutions aimed at getting rid of those harmful hazards. Electric shock when there a human body is exposed to any electric source. This leads to current penetrating through the skin or muscles as well. It is hence an accidental exposure to electricity mainly experienced by those working around electricity especially in welding companies. This risk mainly occurs when using overhead lines and during assembling of the circuits. The other name of the UV rays is the UV radiations. They are the invisible types of rays and their source is from the sun. The sun releases rays in form of energy. Hence, the ultra violen rays is a form of energy from the sun and is easily exposed to human through the skin. This comprises of all the gaseous substance produced during operations of the welding companies. Fumes are a mixture of oxides and fluorides produced in the welding process. The fumes form after heating of the metals above the boiling temperatures and vapour condenses to fine particles. Welders more often complain about the noise effects caused by some of the machines used. The machines used in their jobs make a lot of noise which when the worker is exposed to for long period leads to negative effects to the welder. Noise is the most common hazard in the industries as there are numerous machine activities, which make noise while operating. A common hazard to welders is the issue of fire injuries. The welding process involves the use of gas rays, which in most cases causes fire. The gas rays produce a lot of heat that is harmful to the welder if exposed to for a long time. The busting of the gas pipes is one way of producing fire. We hope you feel safe in you educational affiliation. What about your scores? Do you have worries about them? This analysis paper example was completed by a professional writer and it deserves best scores. You have the ability to take some ideas from this writing but do not plagiarize. If you need to submit papers of the same quality as our analysis paper example just contact BuyEssay.org. Fill in the order form, cooperate with a writer via live chat and get exactly what you want. If something is wrong with your papers, just ask us for revisions. More conveniences of our service you’ll find out after you try it. Contact us right away!